Willy Wonka and the Chocolate Factory is a 1971 film adaptation of the classic 1964 novel Charlie and the Chocolate Factory penned by Roald Dahl. 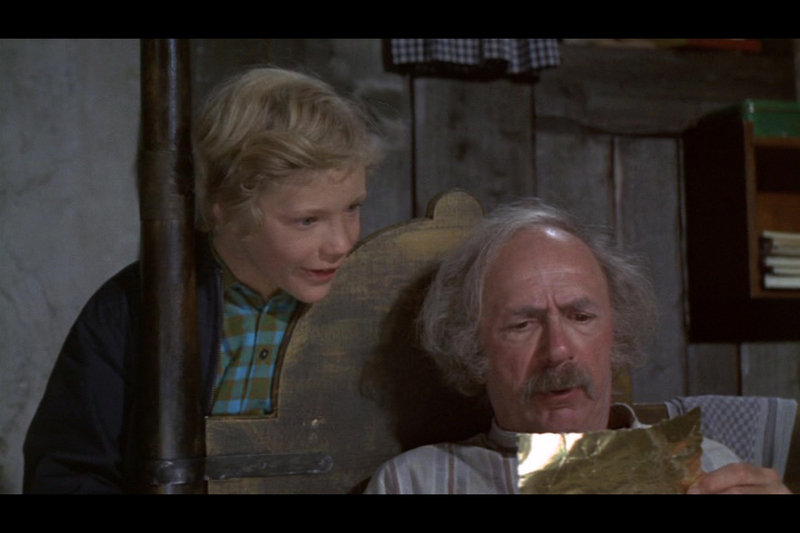 Directed by Mel Stuart and starring Gene Wilder as creative genius Willy Wonka and Peter Ostrum as Charlie in his only big screen acting appearance the movie follows Charlie Bucket and his search for one of the five Golden Tickets which he must find in order to visit the factory owned by the mysterious Wonka. 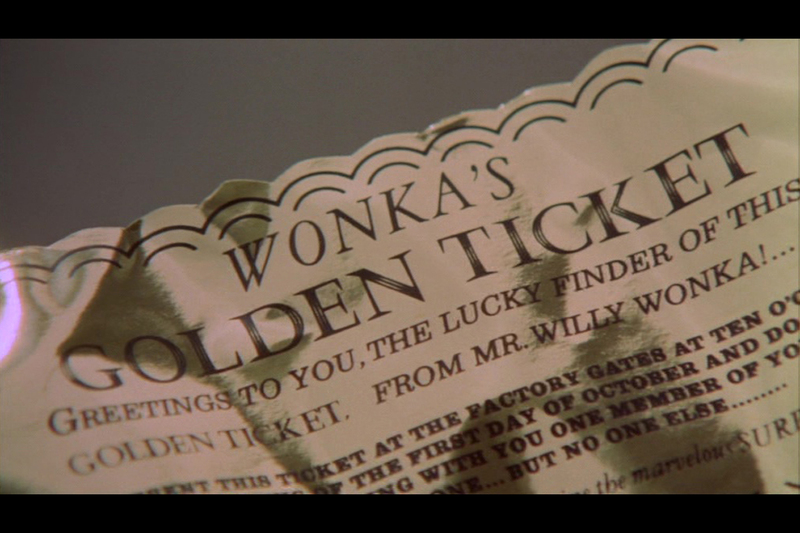 Four of the tickets are quickly found by spoiled and gluttonous children but it is Charlie who finds the final ticket taking him on a fantastic adventure beyond the gates and into Wonka’s wonderland. Despite being considered a box office flop at the time of release the film has charmed children and adults alike for almost five decades spawning the 2005 big budget remake Charlie and the Chocolate Factory starring Johnny Depp under the direction of Tim Burton. 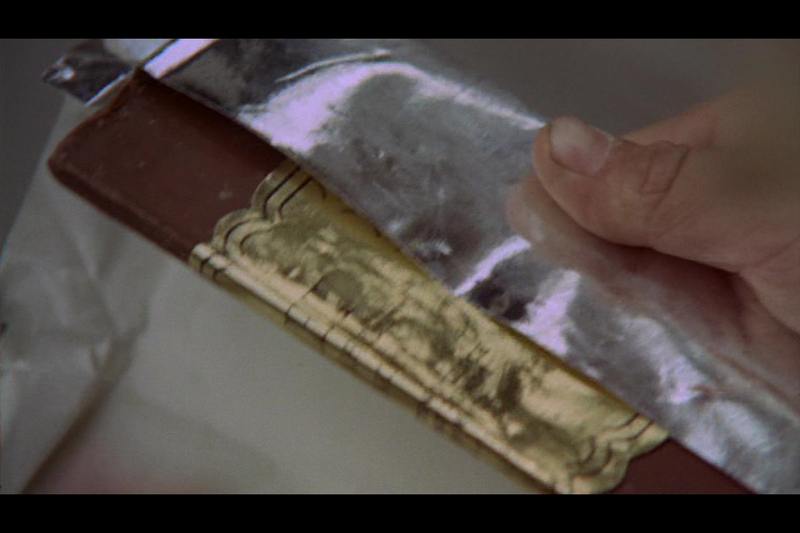 The foundations for Willy Wonka and the Chocolate Factory were laid in late 1969 when producer David L. Wolper struck a deal with Quaker Oats to finance the movie who planned to use it as an advertising campaign for a chocolate bar they intended to produce, an idea which ultimately never materialised. 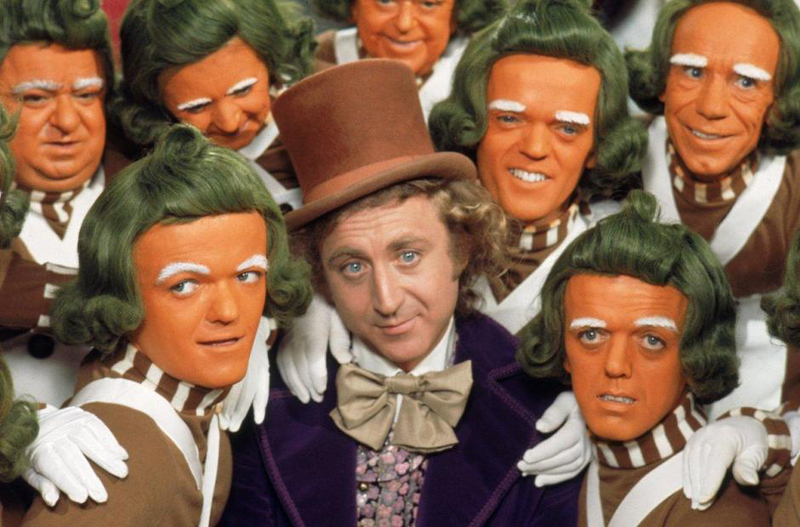 The screenplay was penned by author Roald Dahl and went through several revisions with additional material from David Seltzer of Wolper Productions, art direction was provided by noted designer Harper Goff who was responsible for creating the now unforgettable and unique vision of Wonka's factory. Following casting and a significant amount of location scouting filming commenced in the autumn of 1970 at Bavaria Film Studios in Germany selected partly due to the modest budget of approximately $2.9 million. 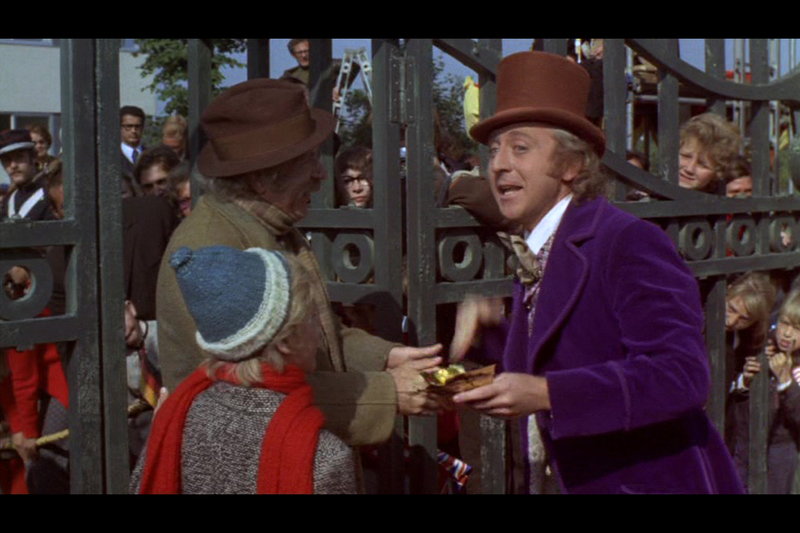 Without question the central plot device of the movie is the Golden Ticket which the mysterious and reclusive Wonka hides five examples of inside his chocolate bars with the lucky individuals who find them being given a tour of his factory. 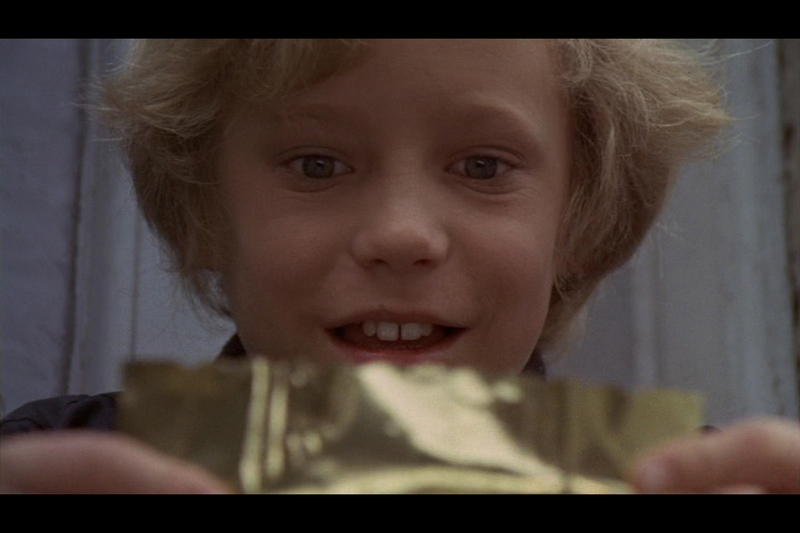 Charlie dreams of finding a Golden Ticket but this becomes increasingly unlikely as the various winners are announced, Augustus Gloop (Michael Bollner), a gluttonous German boy, Veruca Salt (Julie Dawn Cole), a greedy spoiled brat who demands her father deliver the prize, Violet Beauregarde (Denise Nickerson), a vain gum chewing ditz and the obsessive Mike Teavee (Paris Themmen). 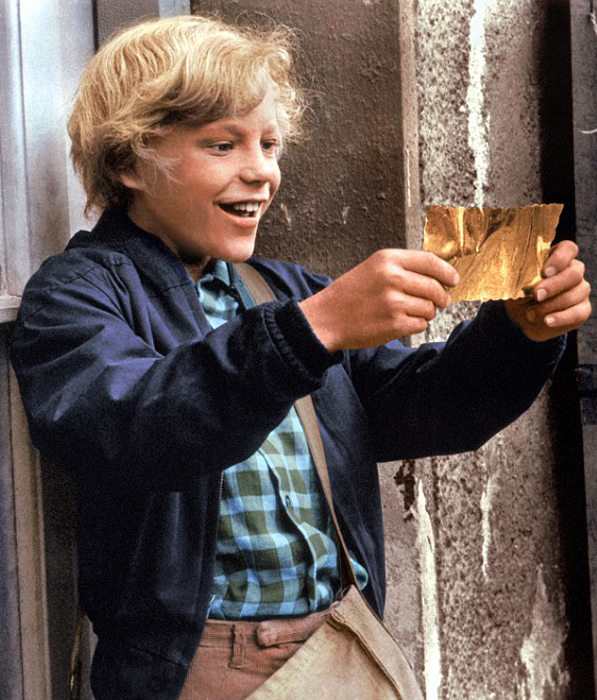 With only one Golden Ticket remaining undiscovered Charlie spots some money in the street and against all odds finds the final Golden Ticket inside his chocolate bar just in time to take the tour in to Wonka's world of pure imagination. 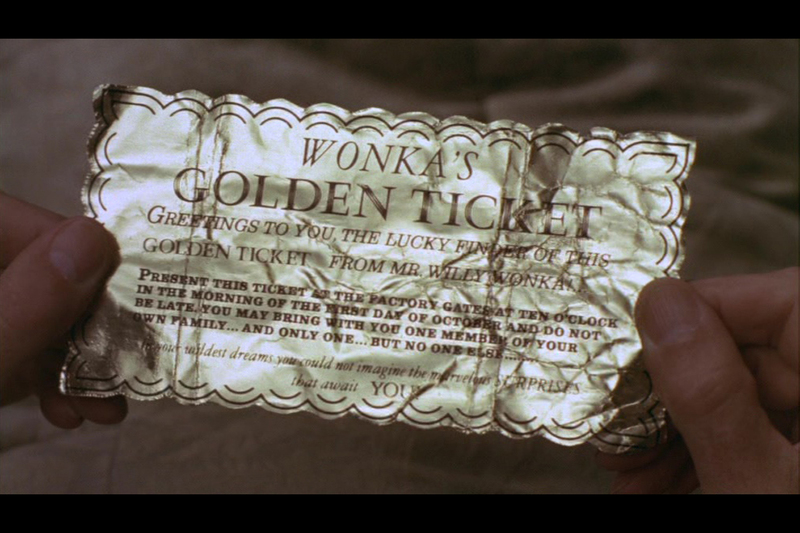 This is one of the original Golden Tickets used on screen in the movie, custom printed on shiny gold foil covered paper the prop features text reading "Greetings to you, the lucky finder of this Golden Ticket, From Mr. Willy Wonka!..." with an explanation of when and where to claim the prize followed by "In your wildest dreams you could not imagine the marvelous SURPRISES that await YOU!". 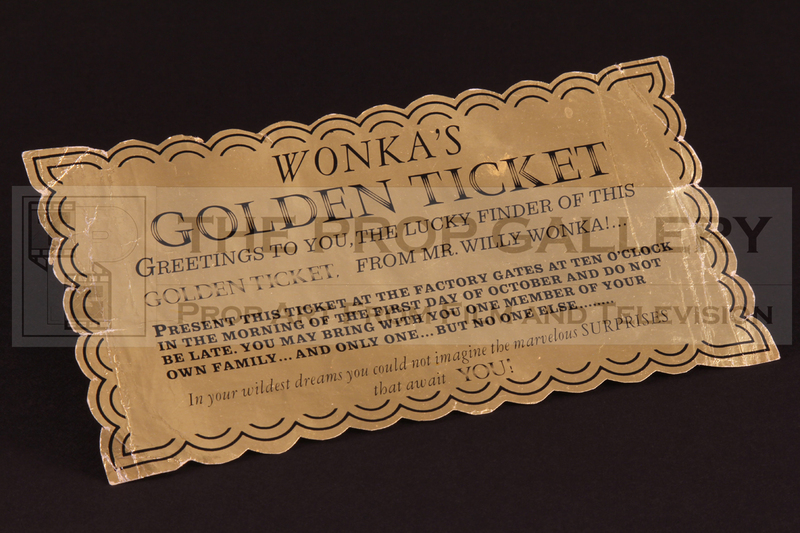 This Golden Ticket sports immaculate provenance and was obtained by The Prop Gallery directly from actor Malcolm Dixon who portrayed one of the ten Oompa Loompas in the movie and was gifted it as a memento following filming in 1970. This represents an instantly recognisable and iconic artefact from this timeless classic which requires absolutely no introduction.